Click here for a map showing the location of the major Orlando area communities. Windsor Hills is located just off US 192, on the Old Lake Wilson Road. It is only 2 miles from the Disney Main Gate, and just off the US 192 which has many of Orlando’s best restaurants, shops amenities & attractions on it. Windsor Hills has taken aspects of other established communities and put them together to form one of the most comprehensive and impressive resorts in Orlando. 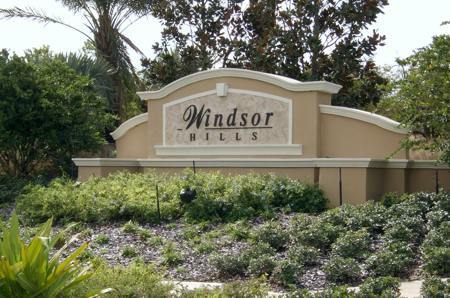 From the Luxurious villas to the spectacular Club House with a large walk in Beach pool, every attempt has been made to ensure that Windsor Hills is the Pick of the Communities in Orlando at the moment. Our community photos and descriptions are supplied by our owners and are used with their full permission. 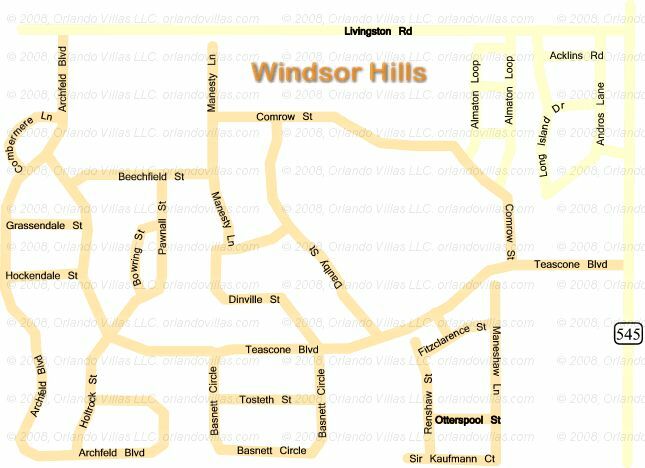 Our community maps are copyrighted and strictly the property of Orlando Villas. Please do not copy them - take the time to do your own maps.